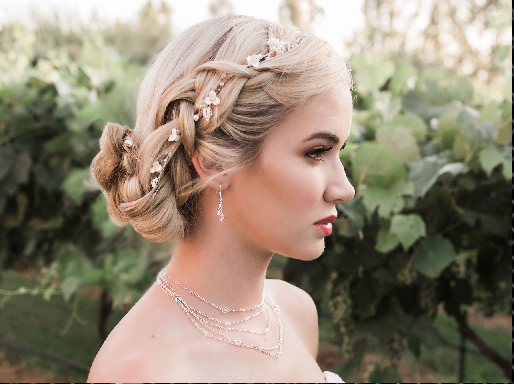 One of the newest trends in bridal accessories is the romantic hair vine. These versatile headpieces are usually quite flexible and can be used as a headband, bun wrap, side piece or woven through the hair for a distinctively romantic effect. Affordable Elegance Bridal is pleased to offer a wide selection of hair vines with styles available in silver and gold plating and featuring elements of pearls, crystals and rhinestones. With so many styles to offer, you are sure to find the perfect headpiece to complement your bridal gown. Featured here is our floral vine HJ1940.